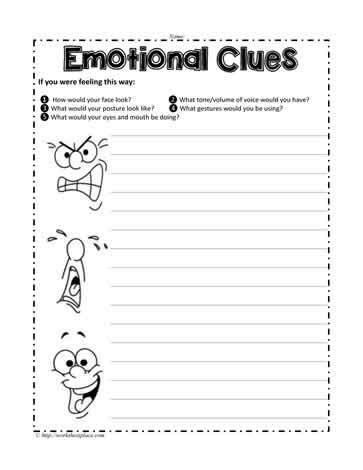 Emotional clues for body language worksheet. Look at each of the faces and determine if How would your face look? How these people must be feeling.